Hello Beautiful, I'm so glad that more and more brands is coming in Malaysia. We can have so much options on choosing the right product for our skin. Introducing belif skincare product, a Korean skincare innovation with a unique formulating philosophy that marries apothecary traditions and cutting edge Korean skincare technology. This brand is for you, if you are looking for products contain no harmful ingredients, and it is formulated with herbs formula, and at the same time you want a simple skin care regimen. belif embraces a powerful 4 step skin care regimen that targeting the core needs achieving beautiful skin without overly high maintenance rituals. 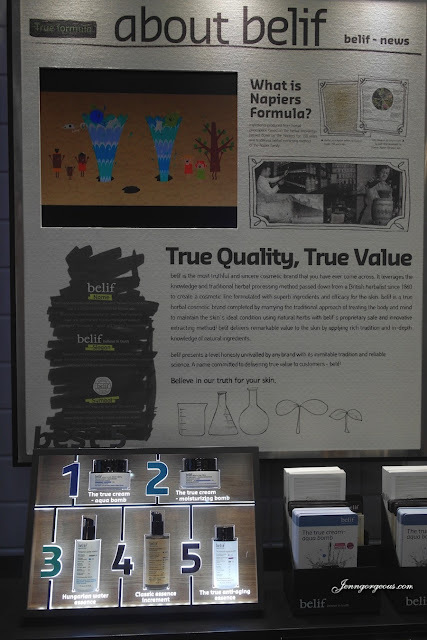 belif promise to give true quality and true value of products. belif carries on the professional herbal knowledge and philosophy of Duncan Napier. He is an herbalist in Edinburgh, Scotland, who opened his first herbal shop and clinic in 1860. He discovered the wonders of herbs by chance and inspired by their efficacy in treating the body and mind. Thats how he started to study herbs and gained fame for improving people's skin and overall health. Based on Napiers's traditional herb processing method and philosophy, belif carefully selected only the finest herbs and developed the "True herb Formula" that safely maximised the efficacy catering to the diverse skin troubles if modern age. 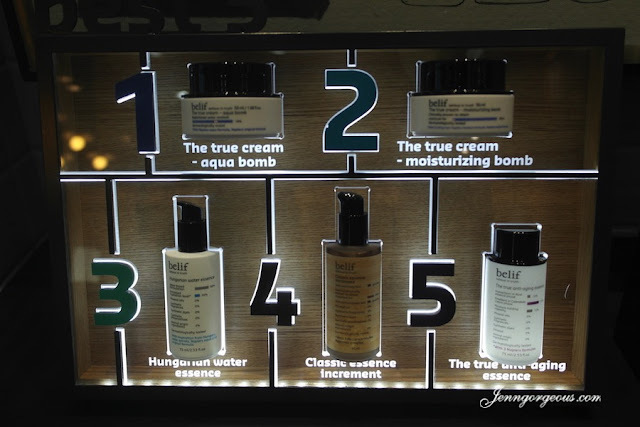 Here are some of the top selling product of belif skincare. These products contain no mineral oil syntheric fragrance, synthetic dyes, synthetic, preservatives, and animal origin ingredients. True Cream aqua bomb - This aqua balm with Napiers aqua formula containing Lady's Mantle, often called "a woman's hydrating herb," is an invigorating gel type cream that supplies instant moisture to the skin while forming a protective layer that wraps the skin in comfort. True cream moisturizing cream - This 26-hour moisturizing cream keeps the skin soft and smooth with Comfrey Leaf extract. The soft and pure white cream literally wraps the skin with comfort, supplying moisture without dryness and tightness for hours. Hungarian water essence - This essence contains the legendary Hungarian Water, the hydration beauty secret of Hungarian Queen Elizabeth. This product provide cool sensation and clings to the skin lightly without stickiness, prolonging suppleness and softness. Classic essence Increment - Classic essence Increment is belif's answer to a fundamental question of why essence was created in the first place. Essence is defined as the intrinsic nature of something. Belif believes the primary role of cosmetics is skin hydration, providing nutrition and suppleness to the skin. 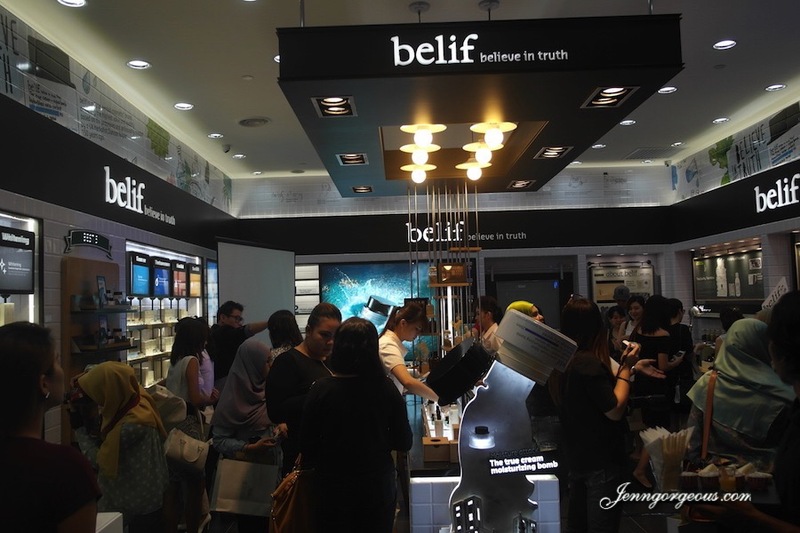 For this, belif applied a nutrition complex, made of nutritious herbs, for the first time to its classic essence increment along with two other original and moisture formulas. True anti aging essence - This liquid essence with double layered Calendula's ultra moisturizing whipping cream and Acai Berry's essence helps to kepp early-onset of aging in check. Separated layers turn into a soft milky lotion when shaken, providing plenty of moisture and nutrients while preventing skin aging. belif product range available for all skin types. If you have specific problem like acne, dark spot, and aging, they have it all for you. 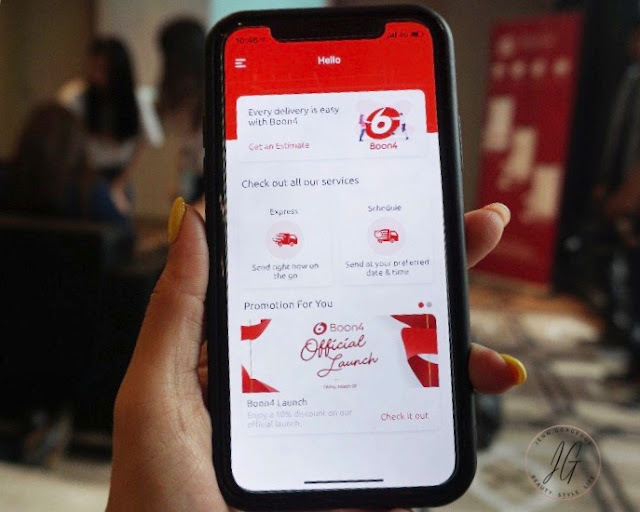 So make sure you stop by their store at sunway pyramid, belif promoters will be there to explain all the products for you and you can ask for samples if you want to try it out before committed to full sized. Here's some belif products that I personally think is unique, and I would personally love to try it out. This is the Blackhead Remover Oil Balm ( Rm95) It turns into oil when applied due to warmth of skin and dissolves blackheads. It has Marigold flowers, chickweed herb and cleavers herb in the balm to keeps the skin clean while temporarily tightens the skin. i'm not sure if it will work but if you tried it before please let me know in the comment box down below. 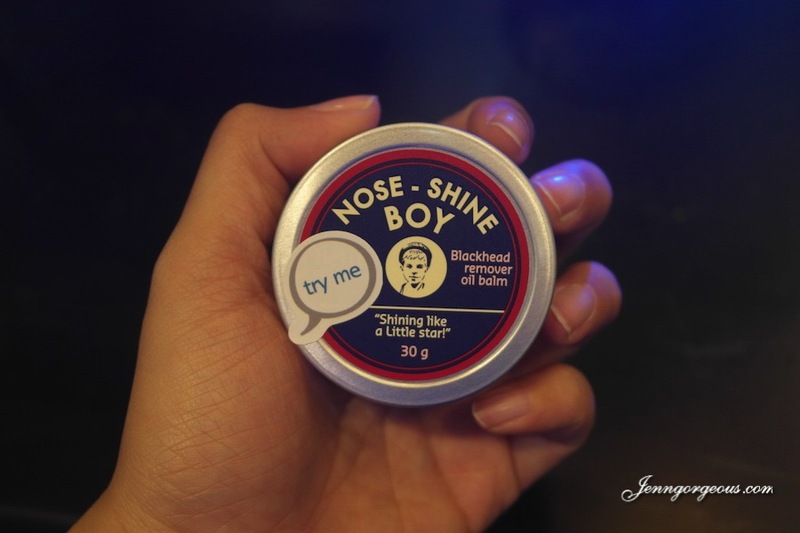 Next, for those with sensitive skin, you cant try this out. This is a cleansing herb water, you clean your face with a cotton pad and then rinse off. This product is non-slippery, non-oily, non-irritating, refreshing cleansing water. With water-soluble hydrating ingredients, it cleans out make-up and impurities effectively without the need of another step of cleansing and leaves the skin feeling refreshed and hydrated. 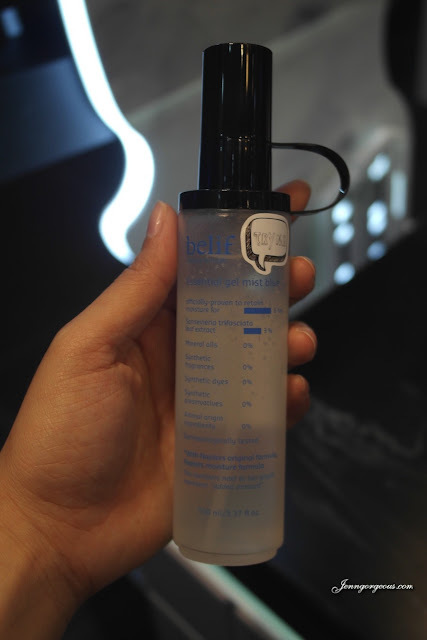 Cleansing herb water contains Belif’s Tri Herb complex that relieves daily stress and makes the skin clean, clear and fresh. Another interesting product called essential gel mist blue, this is a gel type face mist. It contains moisture and Sansevieria extract which provide vitality to the skin. And also give six-hour hydrating effect,the mist prevents dry or itchy skin. 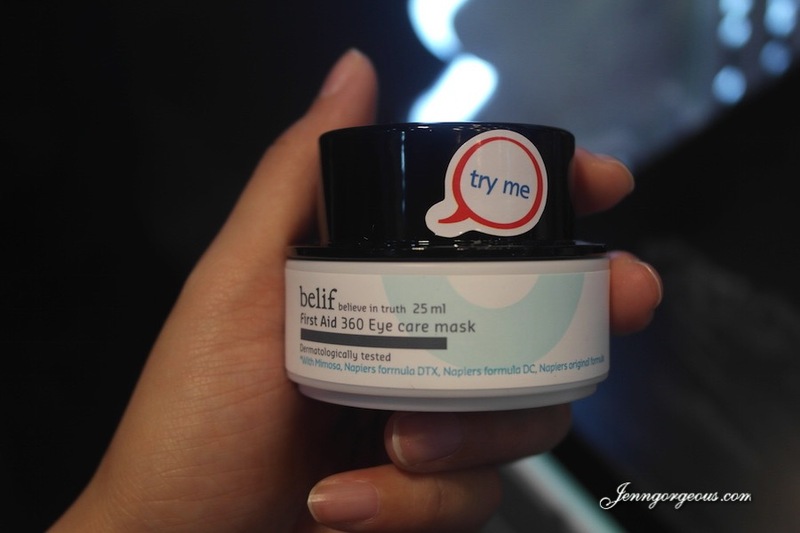 Last but not least, the First aid 360 eye care mask, which can be refrigerate for 5 minutes to get the cooling effect and apply it directly on the eye area. An intensive eye care mask for the skin around the eyes tired from less skin care products and much color make-up. Including mimosa herbs and 3 types of Napiers formula, the mask provides moisture around the sensitive eye area, and revitalize it with energy. 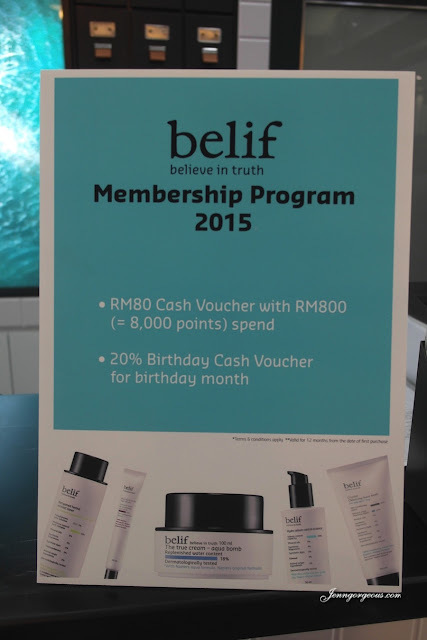 Check out their website for more info www.belif.com.my , or their on going promotion at their Facebook page https://www.facebook.com/belifmalaysia . Get a complimentary belif membership and start collecting your belif points with purchase of RM250 and above in a single receipt today!